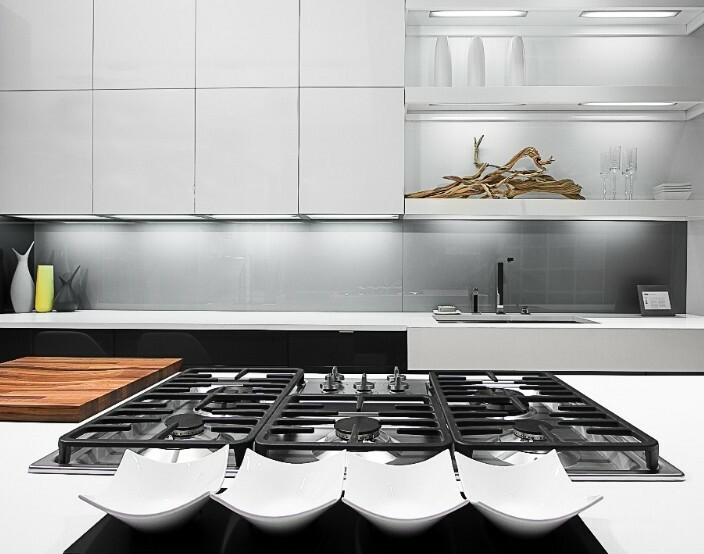 Snaidero Chicago wants to help make your kitchen as functionally beneficial as possible. 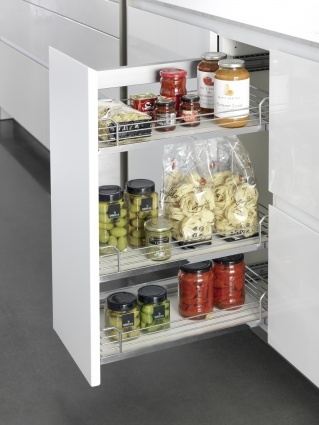 Offering many different storage solutions, Snaidero Chicago can help keep your kitchen neat and organized. 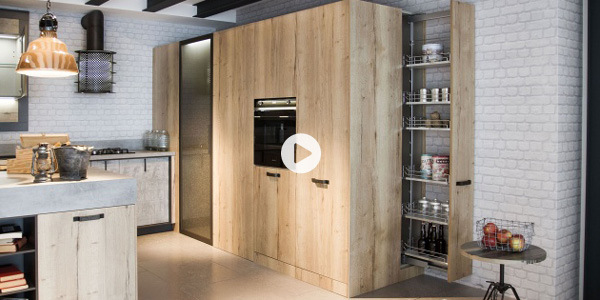 Watch our video to see how we can help you create a beautiful kitchen aesthetic while maintaining functionality. 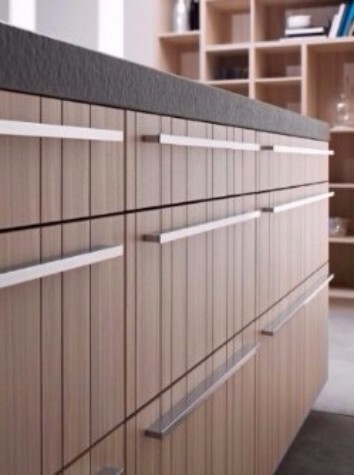 Make use of every inch of your kitchen with moving columns. Plenty of options for spices, pans or anything you can think of! 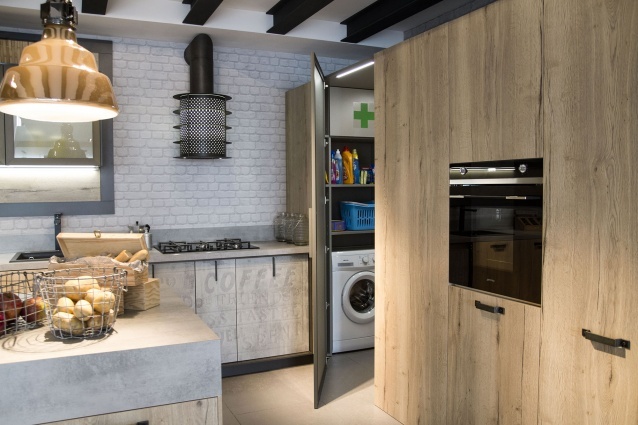 Create a room inside a room with hideaway storage. Perfect for a laundry room or kitchen pantry area. 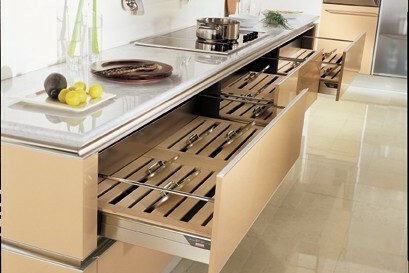 Deeper base cabinets increase your counter space & work area. 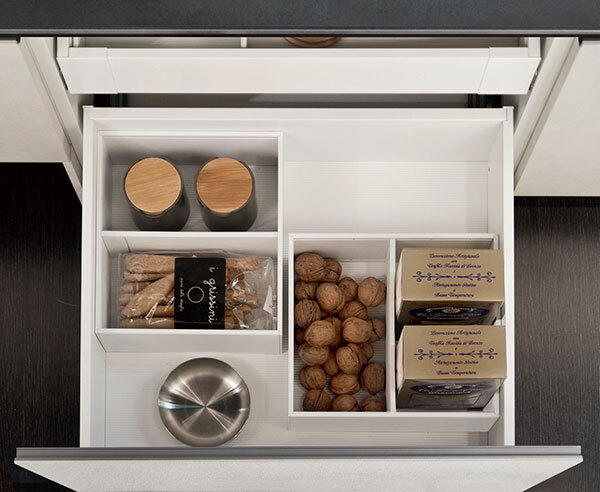 Also allowing for more internal cabinet/drawer storage. 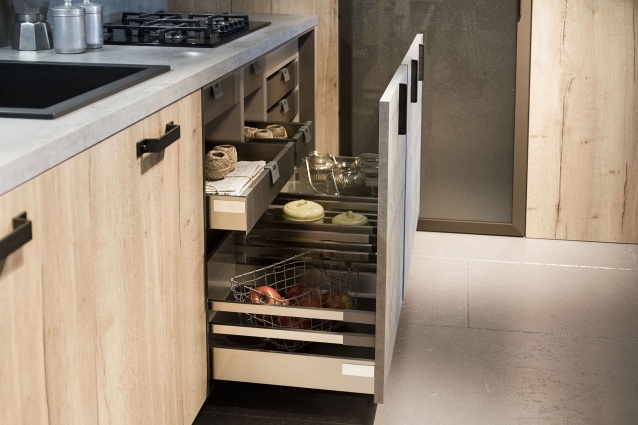 Ergonomically, drawers that are 6 inches deeper than typical base cabinets are great to store heavy objects, like dishware, and upper units are great for storing more fragile items, like glassware. Double-stacking upper cabinets are perfect for storing things that you don’t use often, such as seasonal items. 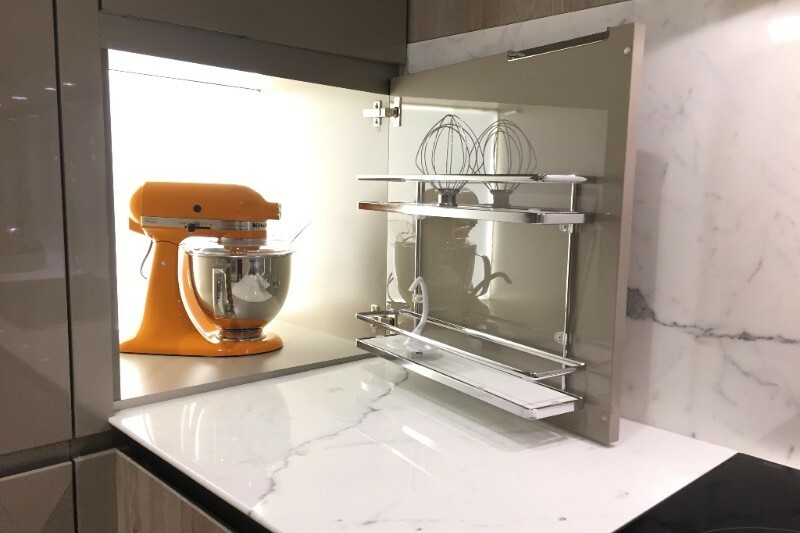 You can break up the wall of cabinets with open shelves and put special items on display while maintaining a clean, beautifully organized and symmetrical look.